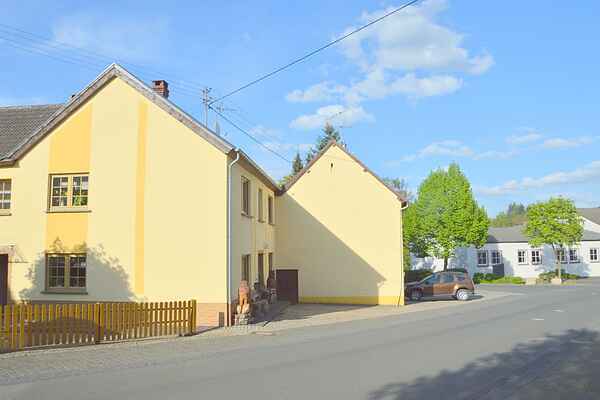 Adlerfels is a beautiful holiday home located between the Eifel and the Moselle. An artist also lives in the property, who has an exceptional interest in wood and technology and creating beautiful sculptures. In the direct vicinity of the home, you can visit the Himmerod monastery and museum, the trout hatchery or the other many cultural offerings. There are many beautiful walking trails for hikers in the immediate vicinity. There is also an expansive route network for mountain bikers of at least 750 kilometres. Many day trips are possible to lovely cities such as Trier and Koblenz, or take a day to discover nearby Luxembourg. During the autumn period, there are many wine festivals and tastings in the many towns along the Moselle. The Moselle region has a beautiful atmosphere at this time of year with its red-gold vineyards. Oberkail is an attractive travel destination at this time of year. Enjoy the peace and romanticism of this time of year in the southern Eifel, and dont forget to visit the many Christmas markets during the Christmas season.